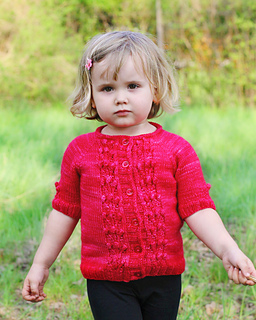 This Set contains the adult and the children version of Rock Rose Cardigan. The cardigan is knitted from top down and completely seamless with i-cord edging. The feminine little flowers on the front make this a perfect cardigan for you and your little girl. 20 sts = 4” (10 cm) in St st.